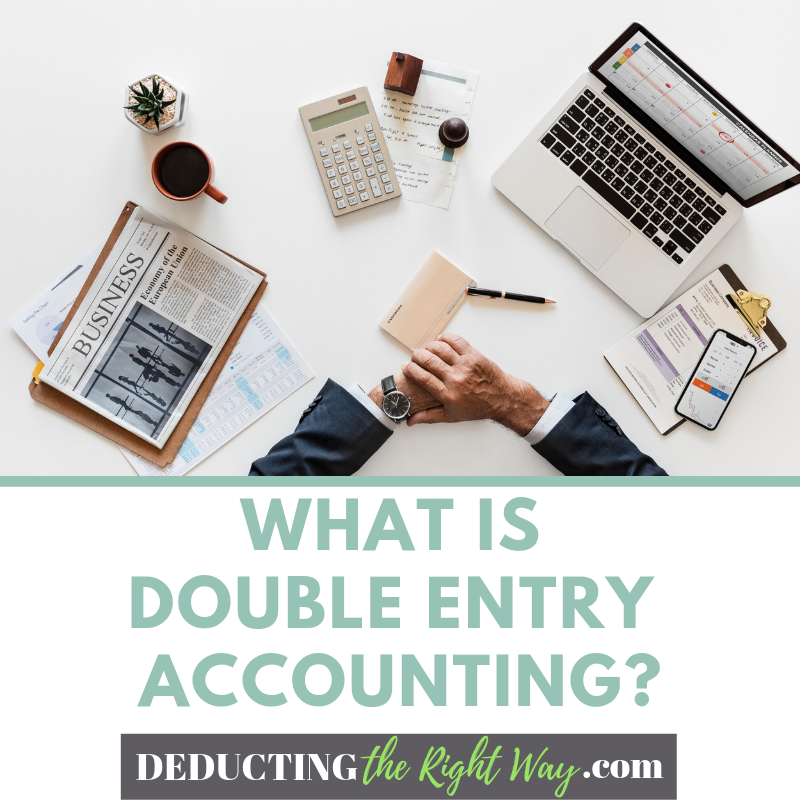 What Is Double Entry Accounting & Why Do I Need It? Are you curious to learn how your accounting software works in the background? Then, you've come to the right place — this article provides a quick breakdown for everyday transactions. 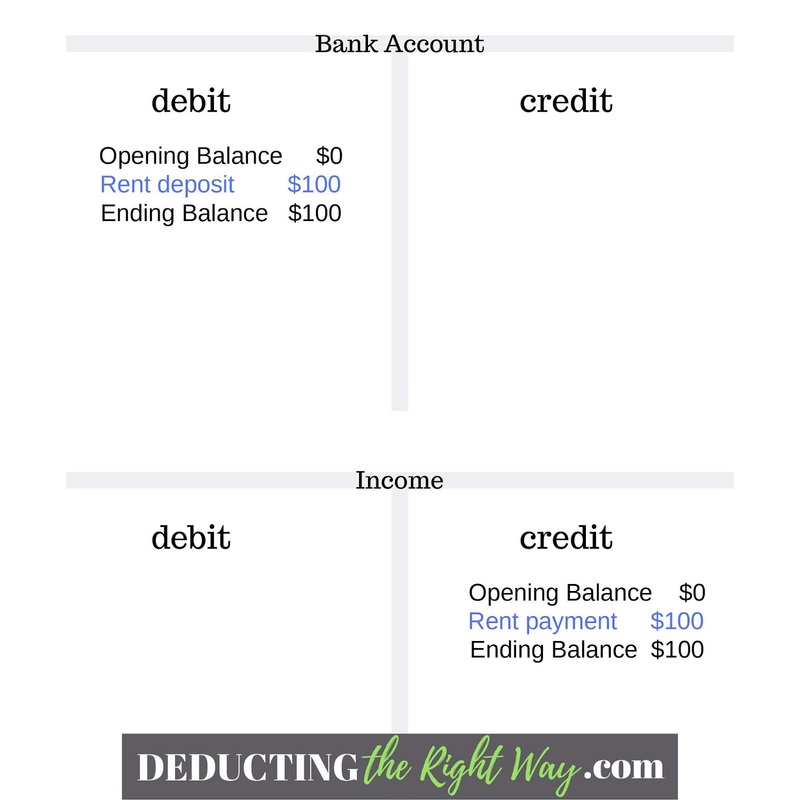 It's your T accounts cheat sheet. Traditional accounting methods use T-accounts which is a debit and credit system. 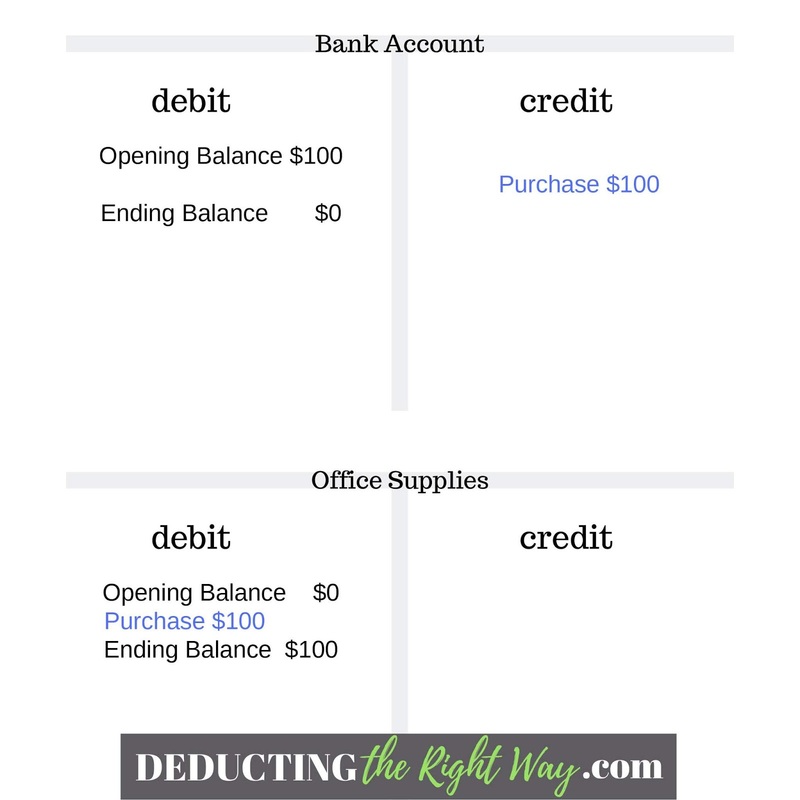 When you enter a transaction in your bookkeeping file, it posts to two places in your chart of accounts (hence double entry accounting). It's the way you balance your books. TIP: Certain transactions can post to three or more accounts. 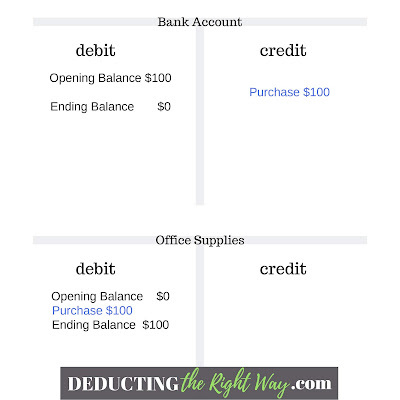 For expenses, a debit is a positive number that adds money to the account, and a credit is a negative number that reduces money in the account. Example. You buy a box of premium printer paper for $100 using your business debit card. The transaction will post to Office Supplies and Bank Account. Your cash goes down, and the value in your Office Supplies goes up. 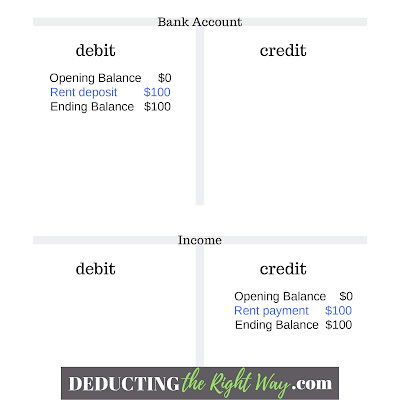 For income and liabilities, a debit is a negative number that reduces the total of the account while a credit is a positive number that increases the total in the account. Liabilities Example. You buy office furniture with a loan for $100k, and the retailer gets the proceeds of your loan. The transaction will post to Furniture and Fixtures (F&F) and Long-term Liabilities. The value in both accounts increase. Income Example. You let others use your office furniture for a fee. You receive a rent payment for $100 and deposit it into your Bank Account. The transaction will post to Income and Bank Account. Your cash goes up, and the amount in your Income account also increases. 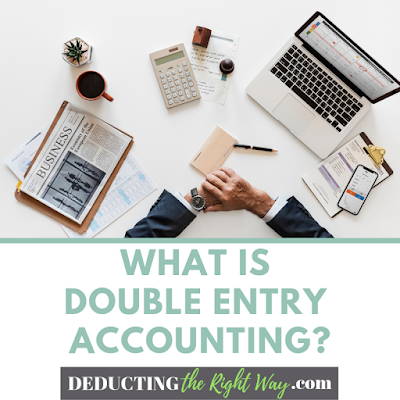 What's the opposite of double entry accounting? An Excel spreadsheet summarizing the year's activity that you give to your tax return preparer. You tally up your income and expenses and place the totals on separate lines as a makeshift Profit and Loss Statement. Who is guilty of using this method? Sole proprietors and side hustlers. It's also known as the shoebox client — a person who tallies up all their receipts at the end of the year and does not want to pay much attention to, or bother with, their business finances at any other time. If you're going to make informed decisions throughout the year, then avoid the spreadsheet or paper-and-pen method. TIP: Use a formal accounting system to track your business activity. Manual methods (spreadsheet) are prone to errors which can lead to lost tax deductions.